It was recently announced that the second place 2010 World Cup “footballers” from the Netherlands are getting their very own Rolex Daytona model watch dedicated to them (not a bad consolation prize if you ask me). 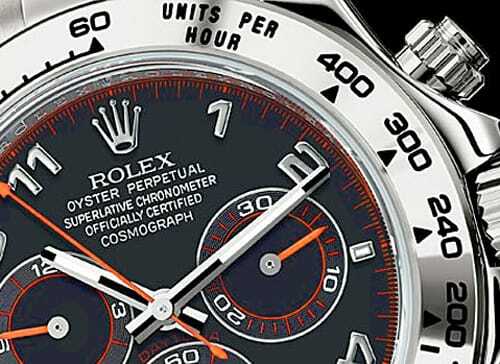 The white gold Rolex Daytona will feature a black dial with orange accents, but if you’re not apart of the team don’t get your hopes up because these Rolex watches are being strictly made for the Dutch soccer team only (limited production of 100). It is rumored that every watch will have the players name and number engraved on the back. This not the first time Rolex has customized a watch for someone they admire, but it will surly be the envy of any Rolex Daytona fan. For the latest news on Rolex, check out our Facebook or Twitter.